Hello ladies! Come spend your sunny summer Wednesday nights in beautiful Jefferson Park with a fabulous group of women learning how to lawn bowl! What’s lawn bowling, you say? 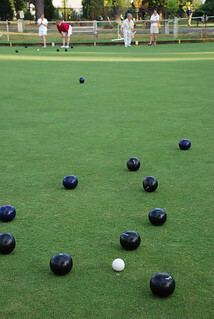 It’s an amazingly fun outdoor sport in which you and your team compete to see who can roll their bowls closest to the white ball at the end of the green, all while drinking gin and tonics (or a beverage of your choice). In other words, it’s a completely civilized way to spend a summer weeknight! 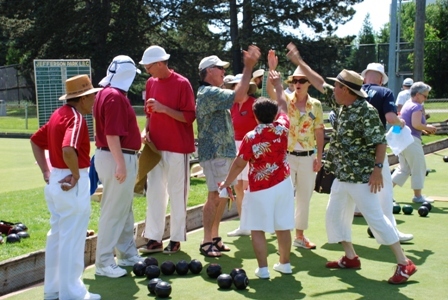 Jefferson Park Lawn Bowling Club has a great assortment of member events, tournaments, and leagues, including Bowl Busters, a league for women. We get together on Wednesday nights throughout the summer, sharing food and drink, and rolling bowls in the summer sun. 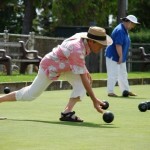 All skill and experience levels are welcome; lawn bowling is one of those “moment to learn, lifetime to master” things! New Bowl Busters can try out the league with a special introductory rate of $40 for the Bowl Busters season. The first night of Bowl Busters is June 5th and the league runs Wednesday nights through the end of July. For more information or to sign up, see the Bowl Busters page on Jefferson Park Lawn Bowling Club’s website. New bowlers do need to get a lesson on the basics before league begins. You’ll learn things like how to hold and roll a bowl, the objective of the game, and small tips to make you a good teammate your first game. 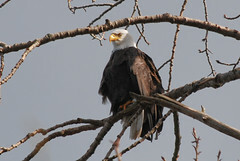 Lessons are offered May 22 and May 29 at 7 pm. Sign up for a lesson by contacting BB@seattlebowls.org. 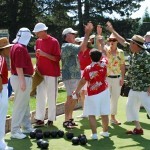 Learn all about Jefferson Park Lawn Bowling Club at seattlebowls.org. Congratulations to the Cleveland High School girls’ basketball team, who won the Washington State 3A basketball championship last night by 45-43 in a nail-biting finish after losing an 18-point lead earlier in the game. Read more in the Seattle Times. South Seattle boys also found victory in a close game last night as Rainier Beach High School won the 3A championship over Lakeside in overtime, 62-59. It was the Vikings’ second title in a row and their fifth title since 2002. Coach Mike Bethea has now won a record six state championships, putting him ahead of Phil Lumpkin (O’Dea), Al Hairston (Garfield), and Ray Ricks (NW Christian-Colbert), each of whom guided their teams to the top spot five times. More here. The Franklin High School boys fell to Rainier Beach 59-73 in Friday night’s 3A semi-final, and ended up in fifth place after losing to Lincoln 69-77. More here. 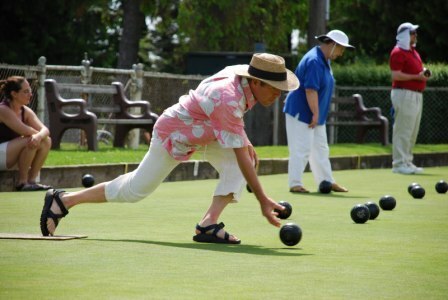 The Jefferson Park Lawn Bowling Club has a bunch of summer activities planned, starting tonight with the first of the summer “Friday Night BBQ and Bowls” events, and tomorrow with the annual Open House during the Beacon Hill Festival. On August 25-28, the Club will host the US National Lawn Bowling Championships. Here is a list of the summer’s planned events. Events are free and open to to all, but flat-soled shoes are required on the greens. If you’ve never tried lawn bowling, this is your chance! Friday Night BBQ & Bowls: June 3-August 19, 6 p.m. to dusk. Instruction and bowls available for beginners. See the website for more info. Annual Open House: Saturday, June 4, 11 a.m. to 4 p.m.
Fourth of July Ice Cream Social and Bowls: Monday, July 4, 7 p.m. to 10:30 p.m.
Member-Guest League: Pair up with a club member for this fun and casual league on Tuesdays, August 2 to September 27, at 7 p.m.
Be a spectator at the US National Lawn Bowling Championships, August 25-28, 2011. More info at the website. 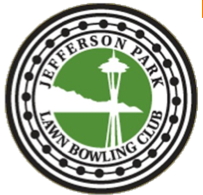 The Jefferson Park Lawn Bowling Club is located at 4103 Beacon Ave. S., just west of the Jefferson Park golf driving range. Lawn bowling or “bowls” is a game originating in the 13th century, distantly related to bocce, providing competition and a test of skill for everyone from teens to seniors. Stop in and give it a shot this Saturday, May 8, from noon to 4:00 pm at the Jefferson Park Lawn Bowling Club, 4103 Beacon Ave S, just west of the driving range. Thanks to Nita Chambers from the club for the photos and notice. 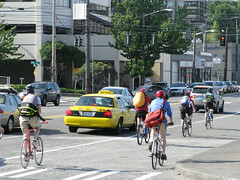 Bicycle commuters on Dexter Avenue near Seattle Center. Photo by Oran Viriyincy via Creative Commons. Applications for the project are due March 31st. More information can be found on the Green Bike Project page. Health Department inspectors have been in the area again, visiting Mac Pherson’s and the 21st Avenue South Cash & Carry. The Cash & Carry should be congratulated for scoring a perfect score of zero, which they have done for at least the last four inspections (the only ones shown on the county’s website). ROCKiT space at 3315 Beacon Avenue South is among the South End music and arts businesses featured recently in the South Seattle Beacon. ROCKiT space also has some new activities, including sculpting classes and a knitting club (at which you may see a certain BHB editor, once it gets started). See the ROCKiT space website for details. The ongoing work on the South Spokane Street Viaduct continues. Permanent closure of the First Avenue South on-ramp to the westbound lanes of the viaduct is tentatively scheduled for May 17. For the next year and a half after that, there will be no access to the Spokane Street Viaduct from surface streets in Sodo, and vehicles from Sodo will be detoured to the low level bridge to get to West Seattle. We’ll post more info as the date approaches. On March 22, the First Avenue off-ramp from the eastbound viaduct will be reduced to one lane for up to five months, and First Avenue South will also be restricted to one lane for northbound traffic from South Spokane to South Hanford. Next week will be the exception—the Alaskan Way Viaduct will be closed for inspection, so First Avenue will stay open to keep Sodo from becoming complete gridlock for the weekend. See SDOT’s Spokane Street Project page for more. If you didn’t get enough dodgeball as a kid in gym class, Jefferson Community Center is the place for you this spring. Adult dodgeball league games will be held at both Jefferson and West Seattle’s Delridge community centers. It’s open to teams of all abilities, and the cost per team is $180. Spring team registration closes on April 7, 2010. For more information, contact Antoinette Daniel at 206-684-7092, or email Antoinette.daniel@seattle.gov.